People tend to think of Floss Bar as a bar where you floss. That certainly is a cool image: you walk in, you floss in a mirror, take a shot of mouthwash, and off you go. In the future when we have a storefront, I imagine having a bar where bottles of mouthwash are on display in elaborate vases and flavors. And yes, you get mouthwash in a shot glass. But that was not the inspiration. And no, we don’t currently give you alcohol either. It would scare our already conservative dentists! There are actually two sources of inspiration for the name that are not the above. DryBar is a very successful company, which took the basic bottom of an industry (blow outs in the hair care industry), built a brand around it, and made it convenient and affordable to do more frequently. We do the same for dentistry, and so why not position ourselves with a name people can associate with a successful national brand? In my previous job at Bridgewater Associates, we always talked about whether someone was “at the bar” for their role. This meant their abilities and actions met the standard expected. And so you can think of what “bar” you are at for your personal hygiene and dental care. Are you at the “brush” bar, where at least you consistently brush? Or are you at the “floss” bar, where you not only brush, you get in between your teeth and tackle those spots a brush simply cannot reach. Or are you a ninja who brushes, flosses, and gets dental hygiene regularly? Are your teeth white these days, do you have any cavities? 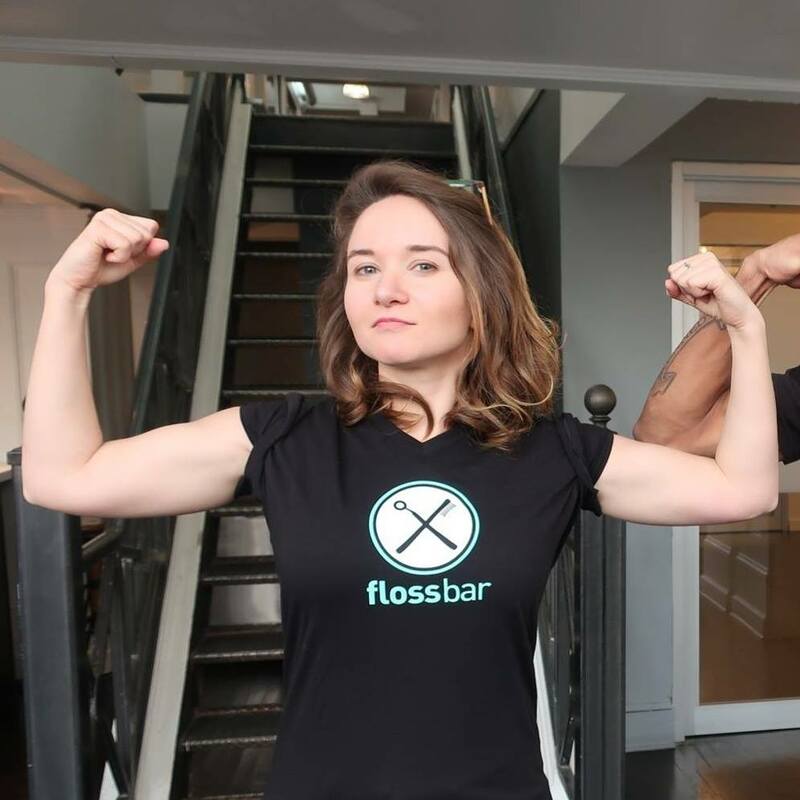 At Floss Bar, we're committed to quality, convenient service, and high hygiene standards. Raise your own bar - stop by Floss Bar.